Millions of people around the world are missing the medicines they need either because they are too expensive or they simply don’t exist. Without access to affordable, high quality medicine we won’t be able to end infectious disease epidemics like HIV & AIDS. Why don’t we have the medicines people need at prices they can afford? Spiralling drug prices are creating unsustainable pressure on patients and health systems around the world, including the NHS, which is spending more and more on medicines every year. Effective but expensive drugs are being rationed or rejected by the NHS and patients are increasingly being forced to crowdfund to pay for them. Meanwhile, the pharmaceutical industry is one of the most profitable industries in the world. While big pharmaceutical companies profit from patenting their medicines and then charging high prices for them, increasingly patients are having to live without access to affordable drugs both here in the UK and around the world. This is a huge injustice in itself but is aggravated further by the fact that globally the British public is fronting up to two thirds of the research bill for these drugs. Last year the NHS spent over £1 billion on medicines that had been financed with taxpayers’ money. With profit as the primary driver, the current health innovation system ratchets up prices but also leads to severe underinvestment in less profitable medicines. This explains the lack of new treatments for diseases that affect low and middle income countries and how the health needs of children living with HIV are largely neglected. Globally, only 52% of children living with HIV have access to treatment, without treatment half of all children living with HIV will die before their second birthday. Those children lucky enough to have access are too often forced to take suboptimal treatment, putting them at increased side effects, resistance and treatment failure. Given that the overwhelming majority of children born with HIV living in low and middle income countries, there is no financial incentive to carry out the research and development that is desperately needed to produce more effective medicines for them. Harvoni (sofosbuvir-ledipasvir) – A highly effective new cure for hepatitis C, a HIV co-infection, was developed with US, EU and UK public funds. Despite this it was launched in the UK with an extortionate list price of £39,000 for a 12 week course. Although approved by National Institute for Health and Care Excellence (NICE), its high price meant it was previously rationed by the NHS to only the sickest 10,000 patients each year. Perjeta (pertuzumab) – A breast cancer medicine with a list price of around £43,000 per year is still unavailable to patients in Scotland as the drug company, Roche, have refused to drop the price to a level the NHS can afford. Orkambi (ivacaftor-lumacaftor) – This cystic fibrosis treatment can give vital additional years of life to patients, but the eye-watering £104,000 price tag has resulted in a stand-off between the NHS and its manufacturer, Vertex, who have rejected deals offered by the health service. Meanwhile patients are dying without access. We need a health innovation model that delivers the medicines that people need at prices we can all afford. We need a people’s prescription. This is a crisis that needs addressing now. The UK government needs to take immediate action to respond to the growing crisis in access to medicines whilst looking ahead to how we can transform the system more broadly. High drug prices are caused by patents, which grant pharmaceutical companies an exclusive license to produce a product. In the absence of competition, pharmaceutical companies can then charge whatever price they like, and they do. The rules about patents come from the World Trade Organisation’ Agreement on Trade Related Aspects of Intellectual Property Rights (TRIPS) but when making these rules the WTO also introduce important flexibilities that could be used in situations where a patent monopoly poses a threat to public health. The UK government should be using these flexibilities to override patent monopolies allowing generic manufacturers the license to produce a medicine, and through the competition created, drive the price of the medicine down. From new HIV medication to the most effective cancer treatment, UK public funding has played a substantial role in the discovery and development of effective and often life-saving treatments. Public investment in research and development (R&D) should benefit public health. Even when the government and public have funded a large part of the R&D of innovative new drugs, there is no guarantee that the drugs will be available to patients in the UK and beyond. The UK government should attach conditions to publicly funded health R&D to ensure that drugs produced from public research are both affordable and accessible. The concept of delinkage removes high drugs prices as the incentive for innovation. Instead, innovation is rewarded through grant funding, subsidies or prizes. By ensuring alternative rewards for innovation, the need for patent-backed monopolies is removed, allowing competition to flourish between manufacturers and driving the price of the medicine down. The savings made on these medicines could be reallocated back into direct UK investment in innovation. UK public funding has played a substantial role in the discovery and development of effective and often life-saving treatments. Public investment in R&D should benefit public health. Even when the government and public have funded a large part of the R&D of innovative new drugs, there is no guarantee that the drugs will be available to patients in the UK and beyond. The UK government should attach conditions to publicly funded health R&D to ensure that drugs produced from public research are both affordable and accessible. Short termism and financialisation in the pharmaceutical industry is diverting capital away from long term investments required for truly innovative breakthroughs. Pharmaceutical companies are diverting revenues away from research and into share buybacks which boost stock prices and executive bonuses in the short term. The UK Government should limit share buy-backs, link executive pay to the public value of a product rather than a company’s profits and promote alternative ownership models such as a ‘National Pharmaceutical Service’. High drug prices are leaving people across the world unable to afford life-saving medicines and crippling NHS budgets in the UK. Globally, millions of people die every year because they cannot afford the medicines they need and even the NHS has had to ration vital medicines because of their high price. This situation is an injustice in itself, made worse by the fact that some of the most expensive medicines out there have actually been developed through public funding. In the last year, the NHS has been forced to spent £1.5billion on the most expensive cancer medicines. Nearly a third of this amount was on drugs developed with public funding. The profits from expensive medicines are lining the pockets of big pharma companies whilst patients and health systems around the world suffer. With profit as the primary driver, the current health innovation system ratchets up prices but also leads to severe underinvestment in less profitable medicines. Given that the overwhelming majority of children born with HIV live in low and middle income countries, there is no financial incentive to carry out the research that is desperately needed to produce more effective medication for them. Currently, only 52% of children living with HIV have access to treatment. Without treatment, half of all children living with HIV will die before their second birthday. Without access to affordable, high quality medicine we won’t be able to end infectious disease epidemics like HIV & AIDS. We think it’s time for all political parties to make bold steps to put people’s health above corporate wealth. Their party manifestos would be a good way of showing a commitment to make medicines truly accessible and affordable for all. 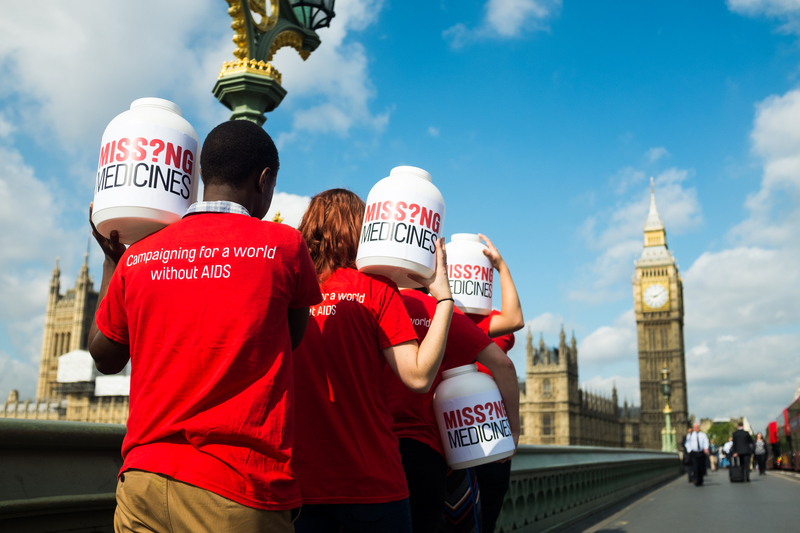 We’ve joined forces with the Missing Medicines coalition – a network of UK organisations fighting for affordable medicines globally – to come up with a set of proposals to take to MPs who can speak to their leadership about the urgency of this issue. Email your MP. Ask them to write to their party leadership about the steps they can take to create a fairer global health system that prioritises public need not corporate greed. Currently a substantial amount of public money is invested into the research and development of new medicines. But there is no guarantee that these medicines will be affordable. We need immediate conditions placed on medicines that have been developed through public funding to ensure they are accessible and affordable for the people who need them. This is an immediate step political parties should consider introducing into their manifestos. Explore new ways to incentivise health innovation in neglected areas like HIV medication which doesn’t lead to high prices. High prices are currently caused by the fact that pharmaceutical companies are rewarded with patents when they produce a medicine. Patents allow companies to hold a monopoly in the market, getting rid of competing products and allowing them to charge whatever price they like. However, there are other ways of incentivising research such as grants or cash prizes. Under this approach, a company is rewarded for the innovation but because there is no patent monopoly other companies can take on the manufacturing responsibility for a product. By those companies competing with each other, the price of a medicine can be driven down. This is the address that falls within the constituency of the MP you are writing to! Again, of the address that falls within the constituency of the MP you are writing to! Feel free to edit this to suit you or just send it on as it is! We'll add in the "Dear [your MP]" and the Yours Sincerely [Your name] bits automatically - just edit the main text. 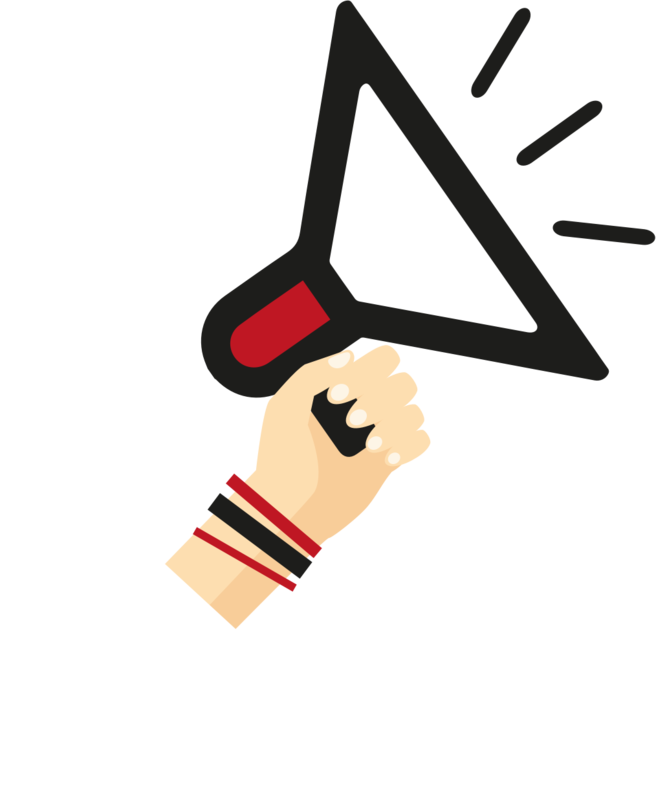 I am writing as one of your constituents and as a campaigner with Youth Stop AIDS to ask for your help in combating the urgent crisis in patient access to medicines. I am concerned about the urgent crisis of high drugs prices and the impact this is having on patients and the NHS. High drug prices have lead to the NHS having to ration certain medicines, cancer patients have been forced into fundraising for their treatments and people living with cystic fibrosis are being denied treatment due to the high prices pharma companies are charging. This situation is made worse by the fact that some of the most expensive medicines out there have actually been developed through public funding. A third of the most expensive cancer medicines to the NHS in 2017/18 were developed with public funding. 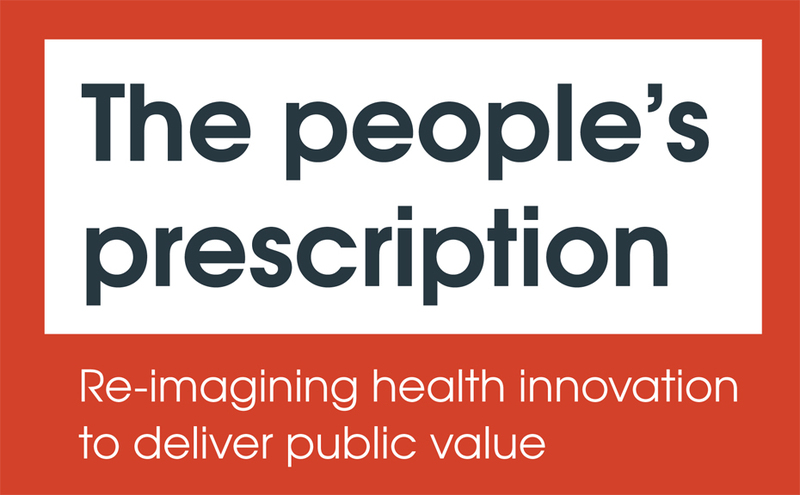 Last year the NHS spent over £1 billion on publicly funded medicines. At the heart of this problem is the way that we currently reward pharmaceutical companies for producing a medicine. New medicines are granted patents which give companies a monopoly over a drug. With no competition, they are free to charge any price that the market can bear which leads to high prices. This was once considered a problem for countries in the global south but the issue has continued to escalate and now wealthy countries, including the UK, are struggling to afford the high price tags. And the current profit driven system continues to neglect the needs of patients living in the Global South. With profit as the primary driver, the current health innovation system ratchets up prices but also leads to severe underinvestment in less profitable medicines. This explains the lack of new treatments for diseases that primarily affect low and middle income countries and how the health needs of groups like children living with HIV are too often ignored. Globally only 52% of children living with HIV have access to treatment, without treatment half of all children living with HIV will die before their second birthday. Those children lucky enough to have access are too often forced to take suboptimal treatment, putting them at increased side effects, resistance and treatment failure. Given that the overwhelming majority of children born with HIV live in low and middle income countries, there is no financial incentive to carry out the research that is desperately needed to produce more effective medication for them. Without access to affordable, high quality medicine we won’t be able to end infectious disease epidemics like HIV & AIDS and we will continue to put the NHS under significant financial pressure. In this regard I wanted to let you know about a new report that lays out the policies and ideas your party could take to address these problems. I urge you to write to your party leadership to ask them to consider the proposals in the report for inclusion in their next party manifesto. Please find a digital copy of the report here. Proposals start on page 26. And please find a template letter to address your party leadership about these proposals here (template provided here). I look forward to receiving your response and to working together to end infectious disease epidemics like HIV&AIDS and improving access to medicines for all. Click the icon to download the taking public control of medicines report briefing. The Youth Stop AIDS team is here to help, motivate and advise you when you need it and support individuals who are not connected to a group. Drop us an email or call us on 020 7633 3350.